Google Chrome is the most used browser on the desktop right now. It has tons of features that are not available in any other browser. However, this all comes at a price. Chrome is known for using most of the RAM allocation and it runs a lot of processes on your computer that makes it slower for other processes. In low RAM computers, multitasking becomes a hassle if you have one chrome window is running. Chrome Software Reporter tool automatically installs when you install the Google Chrome browser on your computer. This tool mainly reports for crashing of tabs, modified new tab page or unwanted advertisement on the browser. It can also remove those programs which it finds malicious for the Google Chrome. 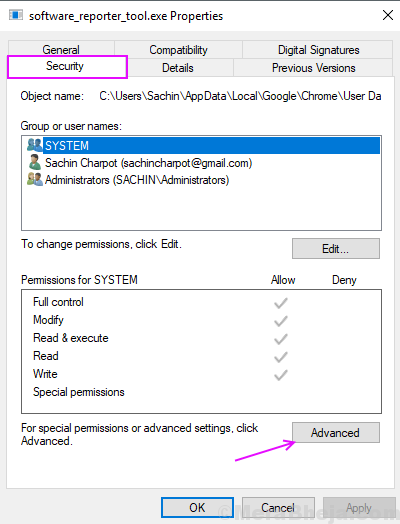 So, we have to make a guide for you guys to block Google Chrome Software Report tool on your computer to save your privacy and RAM both. Step 1] Open File Explorer by pressing Windows key and E at the same time. Click on the address bar and paste the following address. If your windows disk is not ‘c’ then replace it with your drive letter. Also, replace USER with your username. 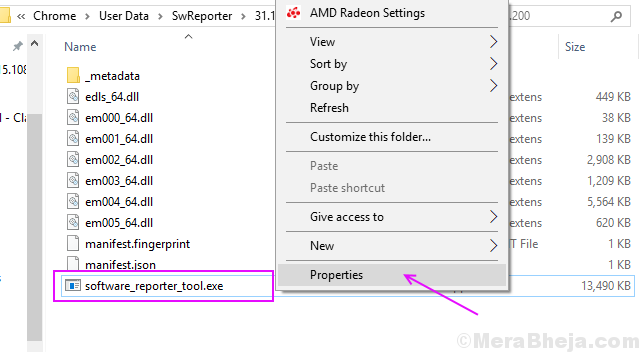 You can delete this folder data and Chrome Software reporter tool will get deleted from your computer. It will temporarily solve the problem but when you update the Google Chrome it will again install this tool. So, we have to revoke permissions of this tool to completely block from reporting data to Google. 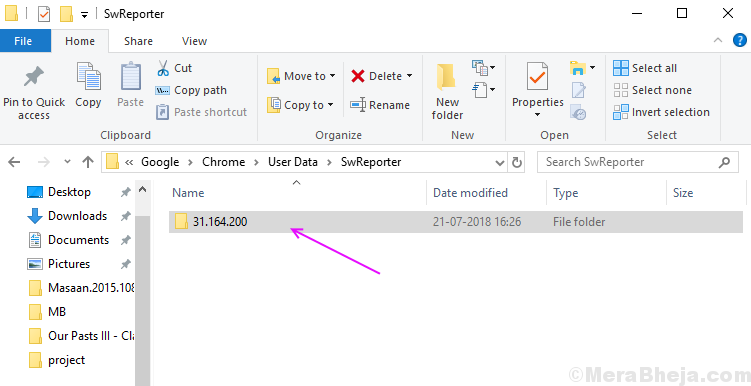 Step 2] Open the folder which shows the version number of the Chrome Software Reporter tool. Step 3] Right Click on the EXE file and select properties. Step 4] Click on the Security tab and then click on the Advanced button. 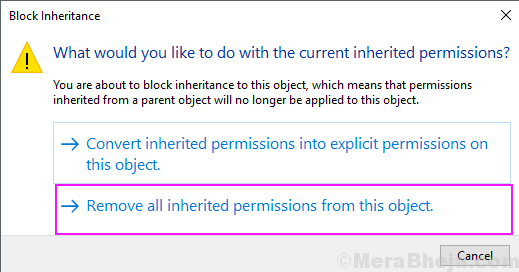 Step 5] Click on the disable inheritance button. 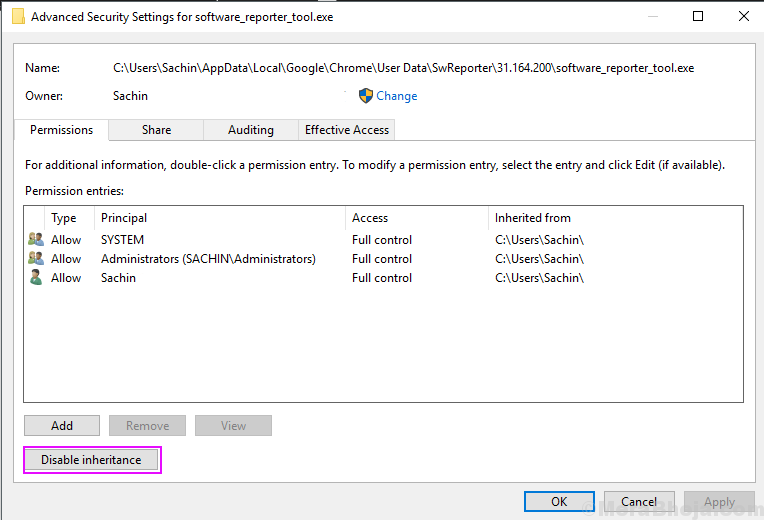 Step 6] Select Remove all inherited permissions from this object option. This will block the Chrome software reporter tool to send details to the Google. But, it will also block reports of potentially harmful programs for your computer. So, you would like to have a good antivirus or malware remover on your PC to prevent it from malware.